- you can expect your package to arrive soon! A few fairytales are included in the Mysteries of Mary Tarot Deck. 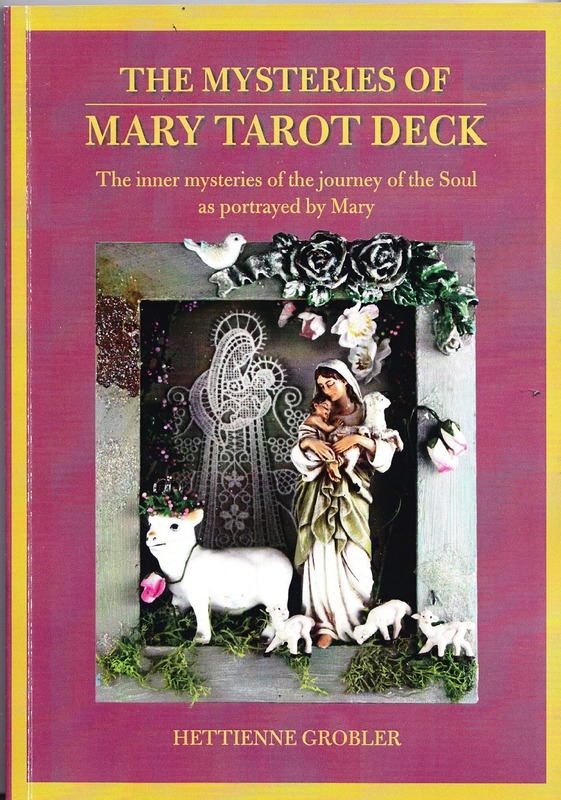 Some of them were chosen as they relate to a specific archetype in both the tarot and the stories of Mary. appears in an Eastern European folktale version of the story. the young maiden, her father, the devil and very importantly, the apple tree. live in both male and female. The story of speaks of the 'miller' and not the maiden's father. rather than his role as father. From the start we see the focus and emphasis on masculine goals and values. In our culture the masculine values and attributes are greatly admired and promoted. the lack of reverence for the less visible feminine principles. The apple blossom is a symbol of fertility and sensuality. In Celtic lore the apple tree is the Tree of Love. in VII of Holy Rood,, where the Handless Maiden enters the forest. 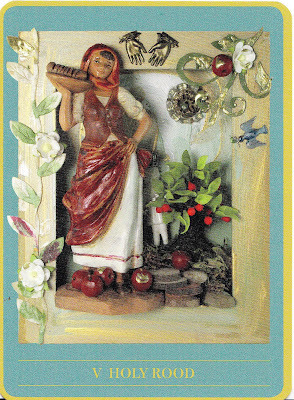 Traditionally this card means conflict and in this deck it refers to inner conflict. on 'the done thing' or the accepted way of doing. precious feminine feeling and earthy nature.